When you play guitar using poor playing habits, it becomes a struggle to make progress. Good news: it doesn't take many years to start developing effective habits that quickly help you improve your playing in a massive way. To begin doing this, you must slow down what you are playing and focus on making zero mistakes with efficient movement. Learn how to do this now by watching this free guitar playing video. There are five common (yet incomplete) questions guitarists ask when trying to become better players. However, if you ask yourself these exact same questions, your chances of making a lot of progress are slim. 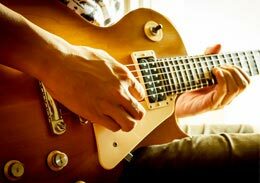 Find out what these questions are and what you need to be asking in their place by checking out this article on how to become a truly great guitarist. Become the guitarist you want to be with the most effective, goal oriented, results driven guitar lessons online. Here is how it works: you tell me about yourself, your musical goals, skills, knowledge, style and your current guitar playing frustrations & challenges, and I will custom design the most effective lessons specifically for you. This will help you reach your goals fast. 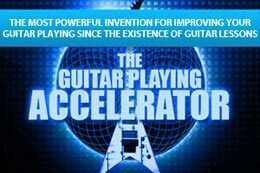 I will closely monitor your progress, give you my expert feedback on your guitar playing and provide you with personal support to enable you to get the results you want in your guitar playing.